Home Community News In Memory of Andrew A. Venable, Jr.
We are saddened to share the news of the passing of our former Director, Andrew A. Venable, Jr. Mr. Venable became the 13th and first African American Director of the Cleveland Public Library (CPL) beginning in 1999 until his retirement in 2008. The impact of his leadership, commitment to public service, and legacy of his vision remains strongly imprinted on all that we do as a library system today. Mr. Venable accomplished many significant things during his tenure at CPL, including establishing CPL as “The People’s University”, passing two operating tax levies for CPL, transferring the Ohio Center for the Book from the State Library to CPL, re-establishing mobile library service; and co-hosting the Urban Library Council Conference. 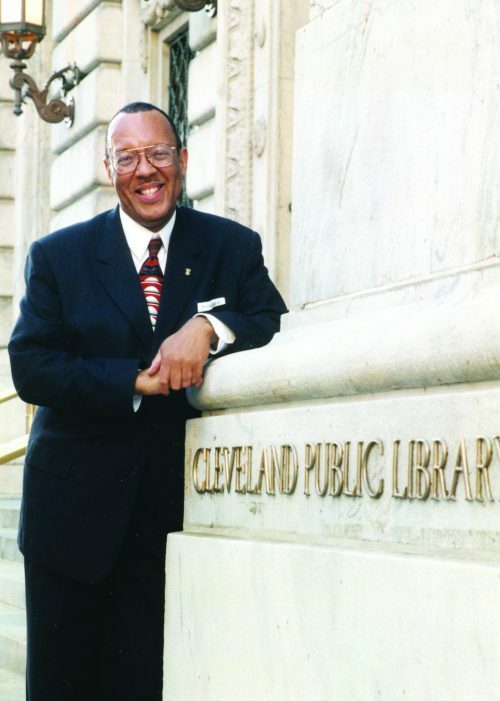 He was an active member of the American Library Association, Urban Libraries Council and Ohio Library Council. In addition, Mr. Venable was elected Councilor-at-Large for the American Library Association in 1999; honored with the 2001 Ohio Librarian of the Year; the 2001 Louis Stokes Champion of Literacy award and 2007 Rainey Institute Glissando IV Award for promoting free access to the arts in Cleveland. Leadership in the library profession included being Director for East Cleveland Public Library; Director for Gary Public Library (Indiana); Regional Librarian for IVY TECH Community College (Indiana); Deputy Director for District of Columbia Public Library (Washington, DC) and Deputy Director for Cleveland Public Library. Mr. Venable received the Bachelor of Science Degree in Business Administration from Virginia State University (Petersburg, VA) in 1968; Master of Science Degree in Library & Information Science from Case Western Reserve University in 1978; Certificate from Harvard University’s John F. Kennedy School of Government; and received the Honorary Doctor of Humane Letters Degree from Cleveland State University on December 16, 2007. Our thoughts and prayers are with Mr. Venable’s family and friends during this difficult time.